It’s not surprising that more people die in the Winter, but these figures show a significant spike, raising questions of why? Around 24% more people die in winter than in summer on the Isle of Wight, official figures show. Experts say it is a “dangerous time” for elderly people, leading to persistent pressure on the NHS. Every year, more people die in winter than in summer – due to colder temperatures, respiratory diseases and outbreaks of flu. To measure the impact, the ONS compares the number of additional deaths between December and March to the rest of the year. During the winter of 2016-17, the latest period figures are available, there were approximately 130 excess winter deaths on the Isle of Wight. This meant 24% more people died during winter on the Isle of Wight, compared with the yearly average. This was higher than in the previous year when there were 7% more deaths during winter. According to the ONS, small population sizes can cause a significant amount of year-on-year variation at a local level. Across the South East, winter was most deadly for people aged 85 and older. Out of 5,520 excess winter deaths in the South East, 5,260 were older than 65, and 3,330 older than 85. Across England and Wales, the rate of excess winter deaths varies from as low as 4% to as high as 51%. 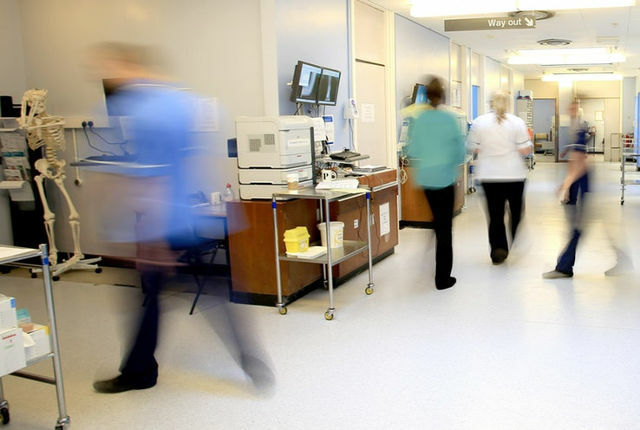 Dr Nick Scriven, president of the Society for Acute Medicine, said that the data raised concerns “as to why there is such variation even between areas in a single region”. “This data must act as a prompt to those in power to look at these trends and recognise that the capacity of the health service is being stretched beyond all measures in winter. Provisional data for England and Wales shows that excess winter deaths hit their highest level in more than 40 years during 2017-18. There were an estimated 50,100 excess winter deaths, 45% higher than the previous year. Health think tank, the King’s Fund, said it was concerned that this “could be the start of a trend of periodically high winter deaths”. The Department of Health and Social Care said that the 2017-18 figures “were likely the result of a combination of flu and cold weather”. 4 Comments on "Large spike in Isle of Wight winter deaths latest official figures show"
I wonder what percentage of these deaths are being caused by the Flu shot itself.